Home » Help » What’s an Excerpt and why would I want to create one? 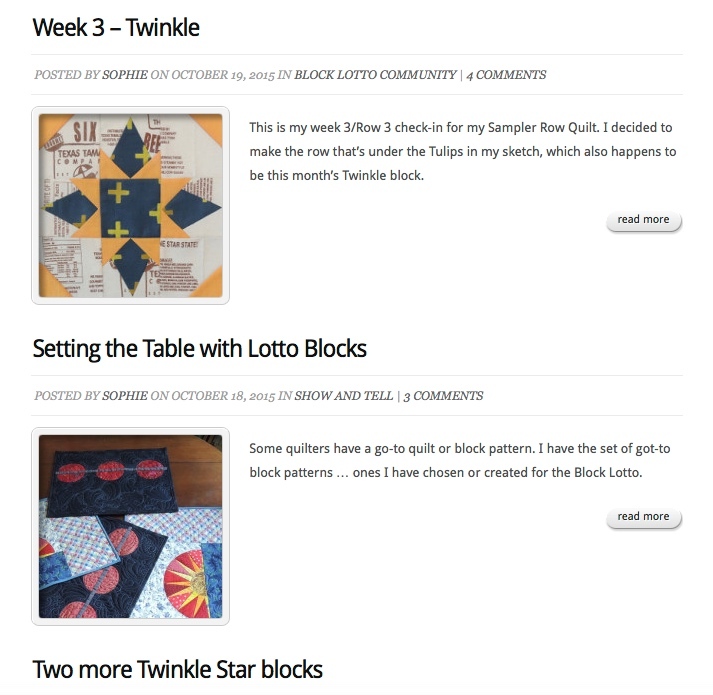 This morning–before I decided to create this post–I noticed that the story Corinne had about her Arrow mini-quilt was completely covering the photo in the featured spot at the top of the home page, so I edited the post to add an excerpt. 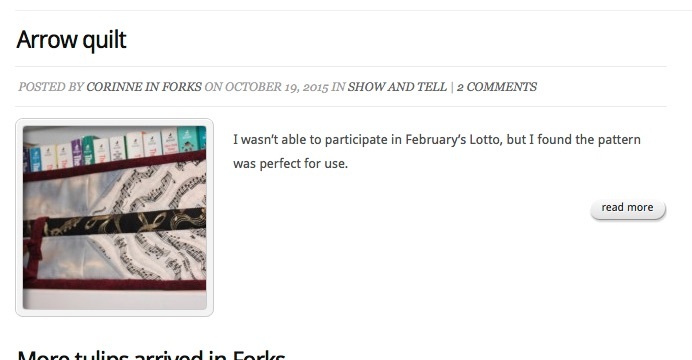 If you are posting a show and tell, the excerpt will be the text you see in that spot. I used Corinne’s first sentence as her excerpt. For all categories of posts, the excerpt shows up in two more places on the site: In the list of recent posts at the bottom right on the home page (shown below on the left) and on the main pages that list posts: Blog, Community and Help. It will also be the text displayed as search results and in feeds for feed readers. My text, without the additional images and especially with my attempt at a math problem layout, makes no sense in this context and just fills the space and pushes everything beneath it further down the page. To fix that, by adding an excerpt, I editing the post. Just beneath the area where you create/edit a post is a section labeled Excerpt. You can type whatever you want to appear as the excerpt for your post. I took out the messy looking math arithmetic and included just enough text to tell you what my post was about. After saving the changes (click update button), here’s how it looks in the recent blog posts list, after the change–you can actually see the posts after it in the list without scrolling. Thank you Sophie! I wanted to do something about that, but didn’t have time to explore and find out how. Thanks for the instruction! 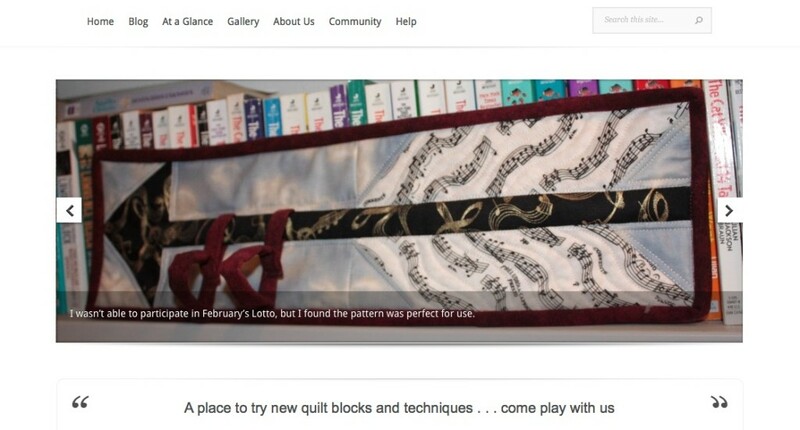 You teach us so much, not just about quilting! (soon you’ll add coding lessons, ritght? ) I don’t know if it’s possible, but when you update the site, it would be great if we had a “like” button for posts. I’d love to share my love for everyone’s creativity, but don’t always have time to comment, but I’d love to hit a like button.